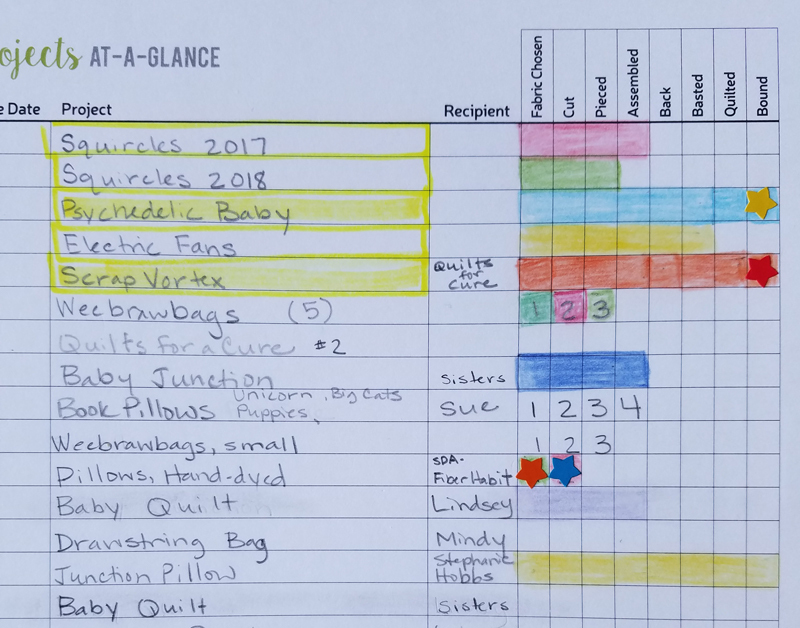 When I first began quilting, many of my projects were baby gifts for family and friends. They remain one of my favorite items to make. I think the attraction lies in the fact that they are small and will get lots of use, so there is no pressure to be too fancy or difficult. 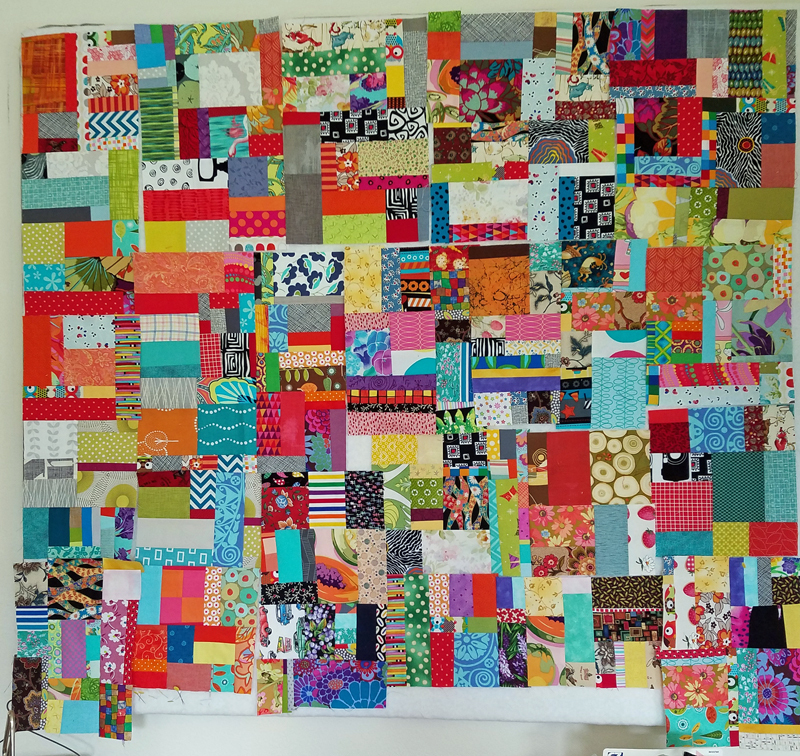 For me, fun color combinations, simple piecing and quilting make them relaxing and satisfying projects. Here are two that I recently finished. The first one is for my niece’s son. Dad is in the Navy, so I decided to go with a red, white and blue theme. 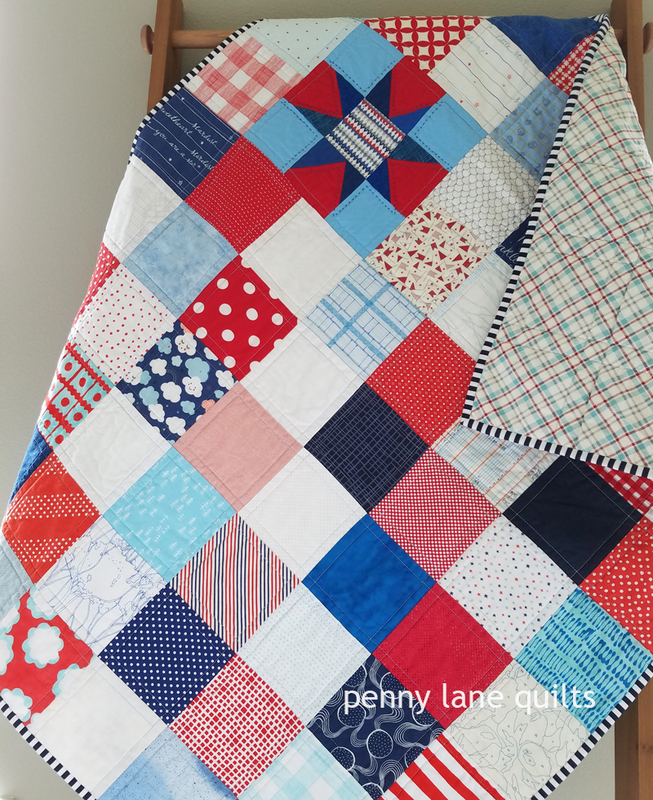 I used my favorite design, a simple charm square quilt with a wonky star. 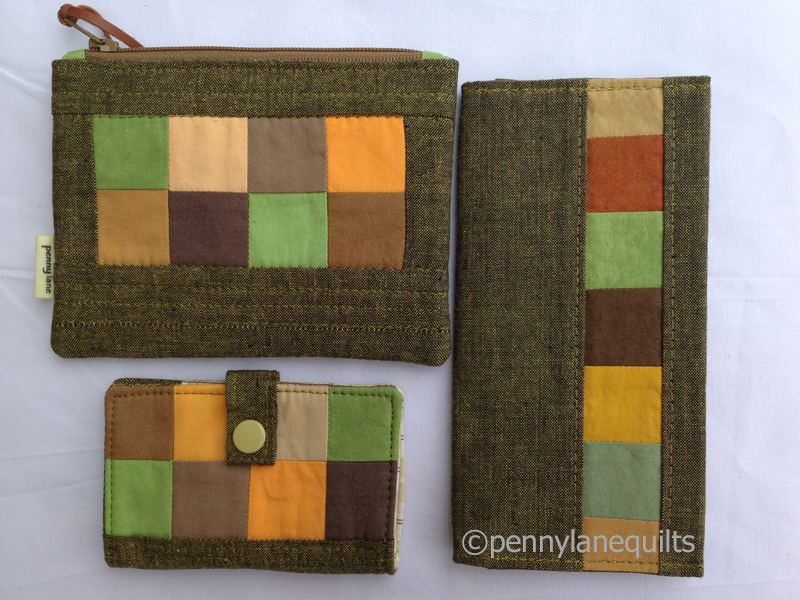 The charm squares came from a variety of different fabric lines and I supplemented with a few fabrics from stash. 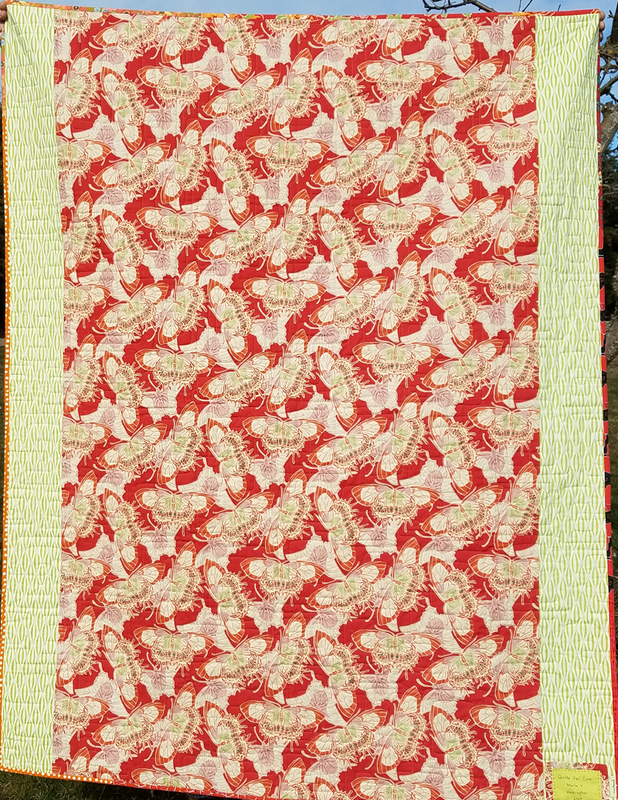 Since this quilt had quite a few white fabrics in it, I used a Hobbs bleached, 100 per cent cotton batting. 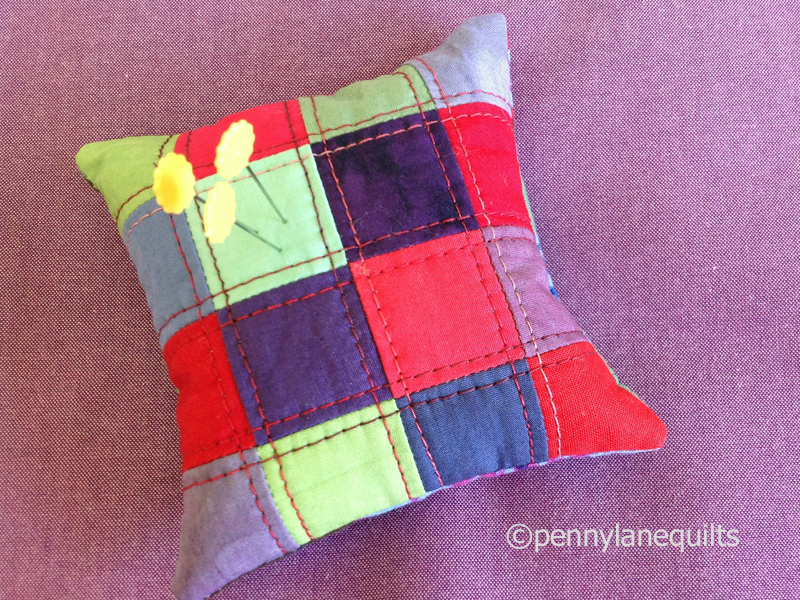 It is quilted with straight lines half an inch from the seam lines using 40 wt Aurifil cotton thread. 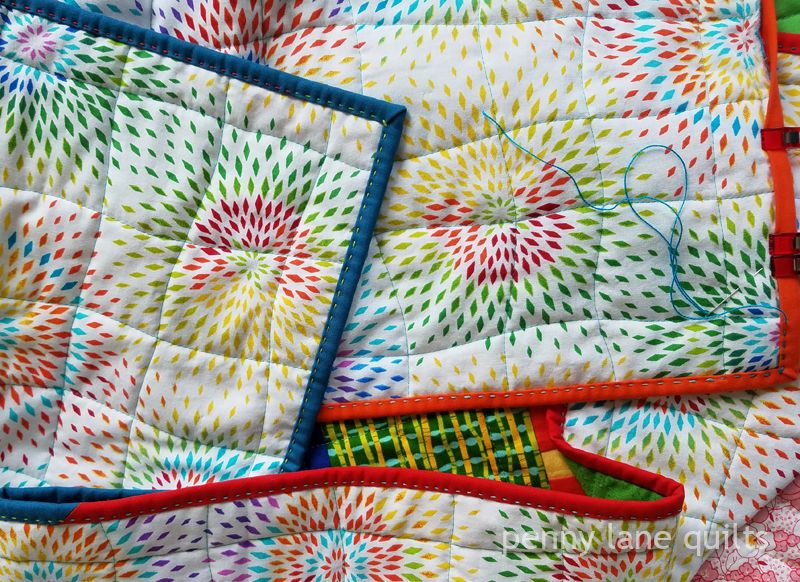 The star block was the perfect spot to add a bit of hand quilting with some 8 wt Wonderfil perle cotton. For the label, I just folded a charm square in half diagonally and stitched it in with the binding. It is such a simple way to create a nice, durable label that will stand up to lots of washing. Before gifting, I like to wash the quilt in a fragrance-free detergent so it is ready to use. 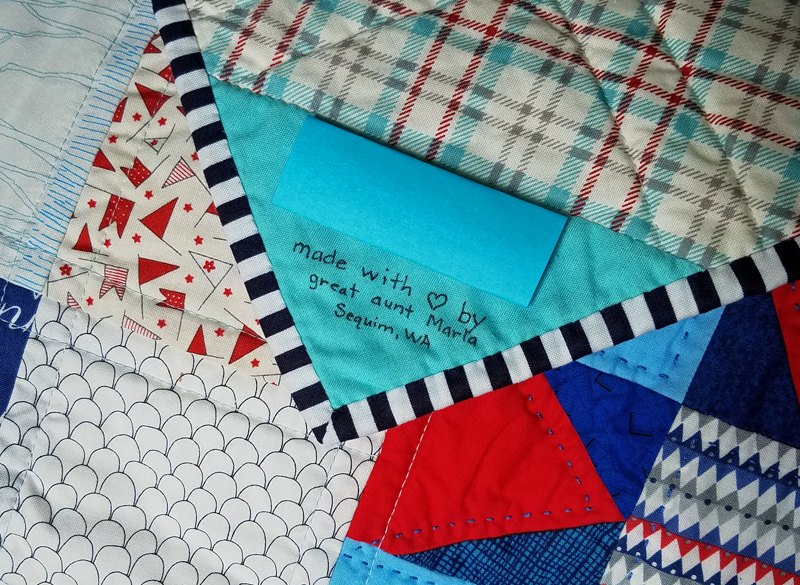 This also allows me to make sure that there are no problems such as color bleeding and it removes the sizing since the charm squares are not prewashed before piecing. 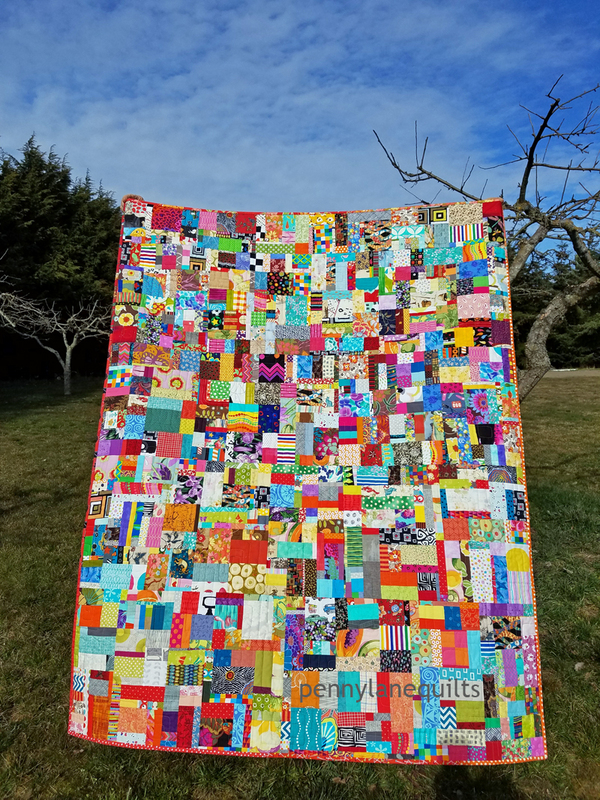 The second quilt combines freeform plus blocks and charm squares. 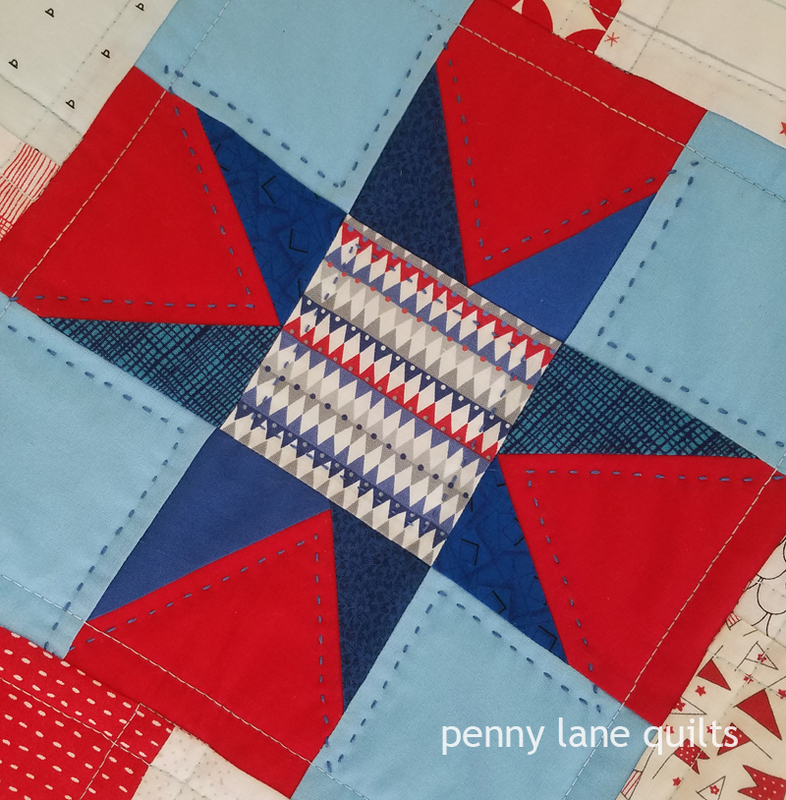 The plus blocks were made using the same method that I used in my “At the Junction” quilt, but this time I squared the blocks up to five inches to match the charm blocks. 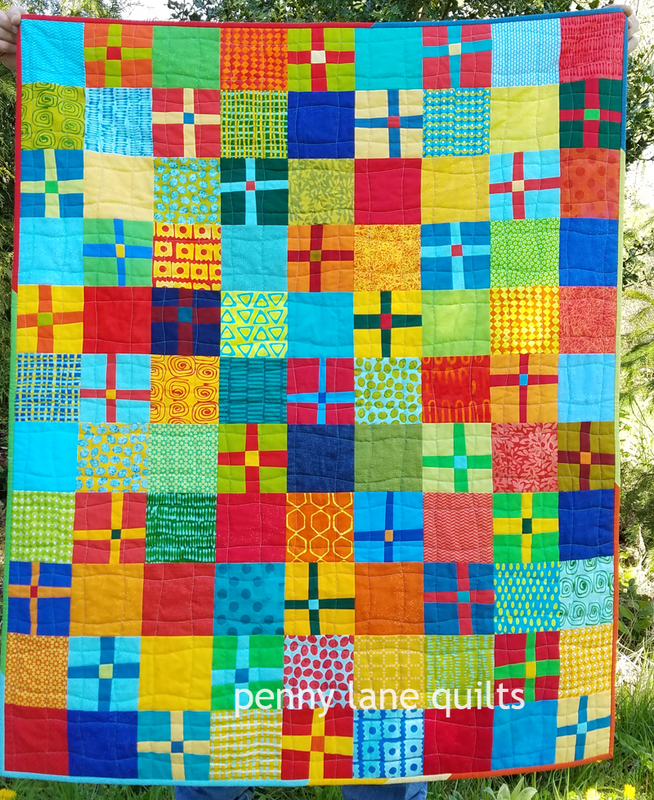 It is quilted with a wavy grid using an aqua 40 wt Aurifil cotton thread and has Hobbs Heirloom 80/20 blend inside which gives a nice soft loft and drape. 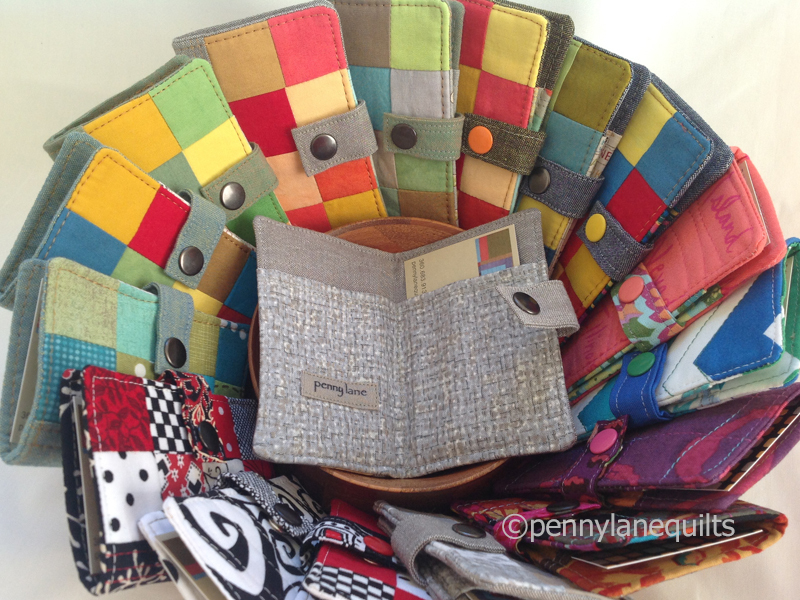 What can you do with your smallest scraps? Sometimes I cut them into 1.5 inch squares that I’ve found to be useful for lots of projects. 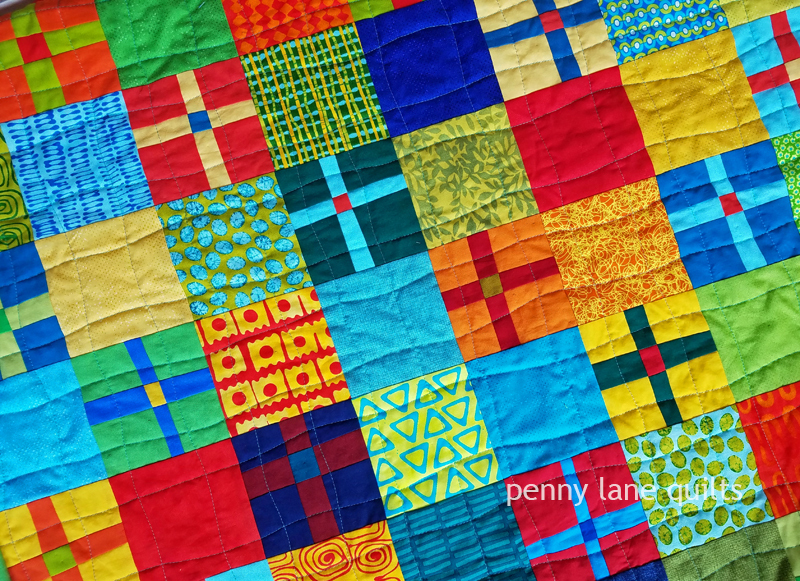 Someday, who knows, maybe I’ll make a postage stamp quilt out of these cute little squares! 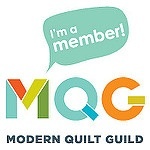 And then visit Yvonne @Quilting Jetgirl to enter to win some amazing prizes. Tomorrow, July 21st, is the last day to enter. (My apologies for the late posting, but I had a major computer crash this week.) 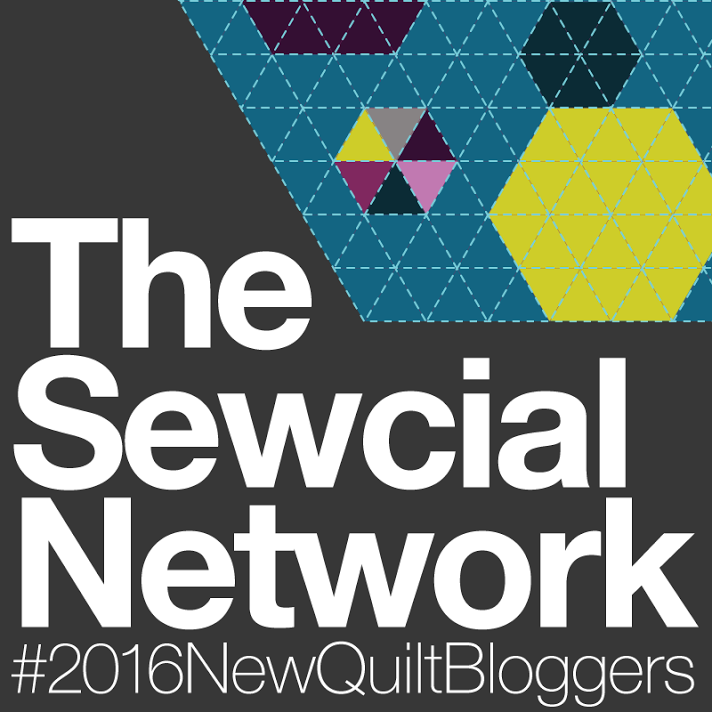 Continue the fun by meeting the other new quilt bloggers. 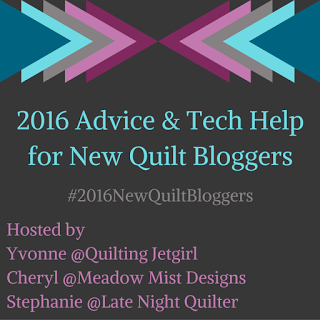 Links available at Cheryl @Meadow Mist Designs and Stephanie @Late Night Quilter.